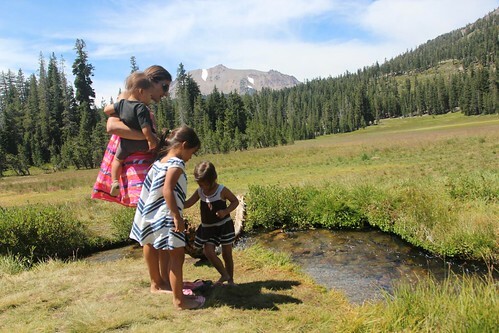 Mali Mish - Day 5: Lassen Volcanic National Park. We decided that today rather than driving straight up I-5 we were taking a detour to visit our first National Park of this trip. 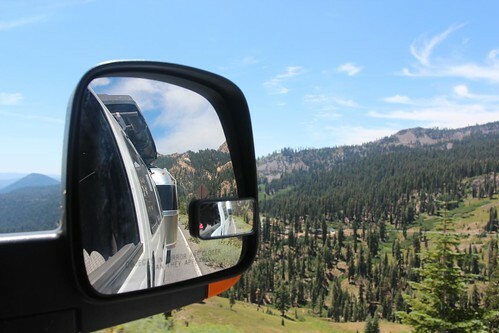 Lassen Volcanic National Park was just about an hour away and we hung a right on the road and headed up. 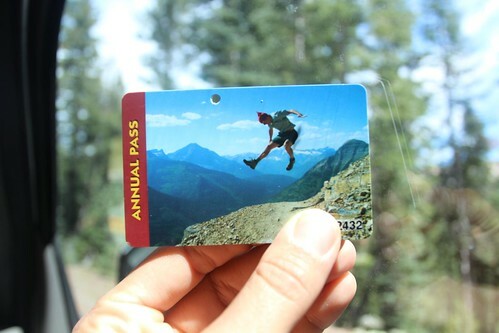 Our National Park Pass was purchased in August of 2012. That means by the end of the month it will expire. This is probably the best $80 we have ever spent. After stopping at the visitor center to watch the video and got our Junior Ranger booklets, we headed out on the road to see the park. 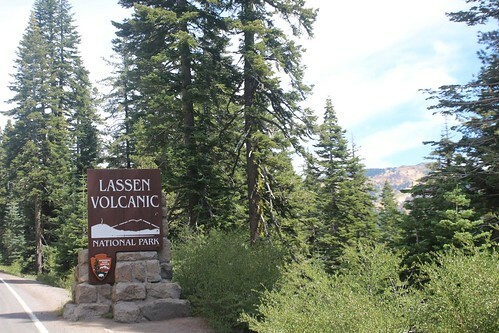 Lassen Volcanic is part of the Pacific Ring of Fire at the southern edge of the Cascade range and is the only area in the United States that has all 4 different types of volcanoes: cinder cones, composite volcanoes, shield volcanoes, and lava domes. We happen to be here during the weekend so all of the parking areas were full of cars. We passed by a gurgling geyser shortly after we left the visitor center but were not able to park. We hoped that there would be other opportunities in the park but it turns out that was the only place accessible to visitors to see them. 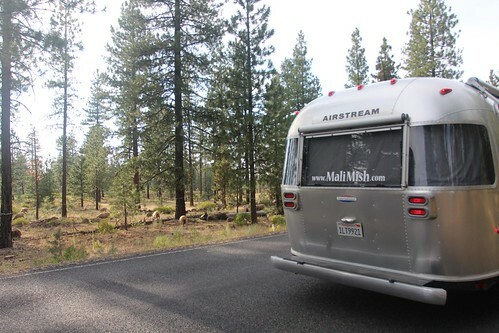 In no time we had climbed a considerable incline while towing the Airstream behind us. A good part of the drive here is pretty windy with no guard rails and hardly a shoulder to speak of. 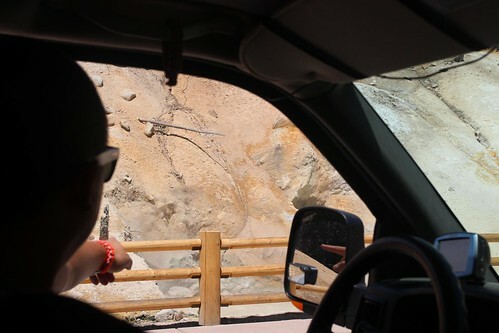 We got to the bottom of Lassen Peak and found a large parking lot with plenty of space for us to pull into. 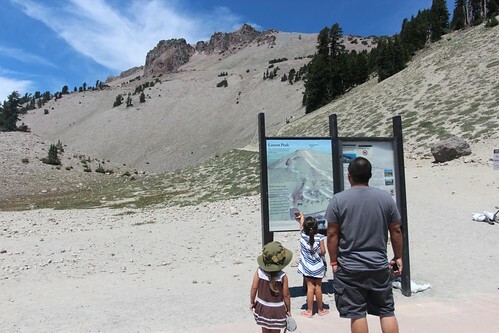 Lassen Peak erupted in the winter 1914 when there was a substantial snowpack on the ground. The molten lava melted the snow instantly and created a giant river of mud and debris that wiped out all of the trees and wildlife in its path. This hill in front of us was once full of large alpine trees 100 years ago. The girls found a dirty remaining pile of slush but they did not care. They wanted to make snow balls out of them. Before we could stop her, Mila reached down and shoved a handful of slush into her mouth as we both screamed for her to spit it out. I guess our quest to find perpetual warm weather during our travels has taken a small toll in the girls’ desire to eat clean, pristine snow. Luka has no idea what this is. He has never seen snow in his life. 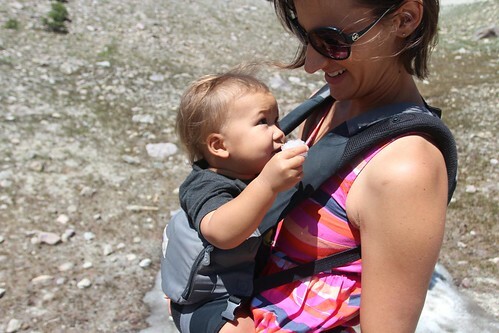 I guess we need to dig out our jackets and gloves and take these littles to the mountains this winter. As we meandered our way toward the north entrance of the park, we came across a large meadow with King Creek running through it. The water in the creeks is fresh snow melt and was icy cold. We could not stand keeping our feet in there for more than a few seconds without losing sensation. Luka now has to do everything he sees Ava and Mila do or he will not let us hear the end of it. That includes sticking his chubby legs in the icy water. 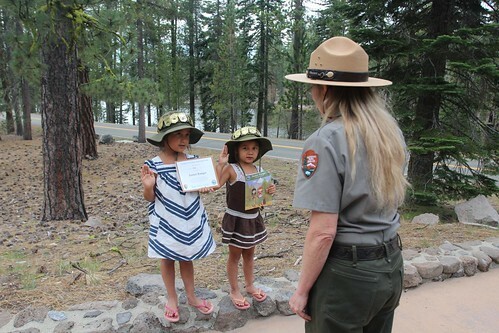 As we got to the other end of the park, the girls completed their first Junior Ranger program of this trip. We are starting to run out of space on their hats. 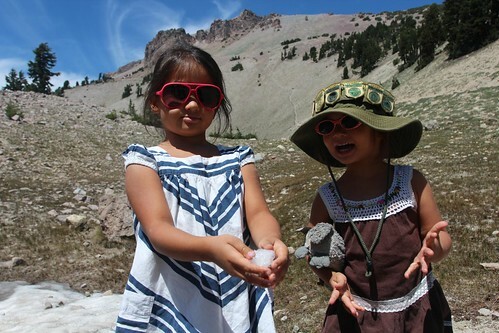 Luckily Lassen Volcanic only has patches to issue. They are now pros at reciting the pledge and we will need to get them something to sew their patches on as that collection gets bigger. 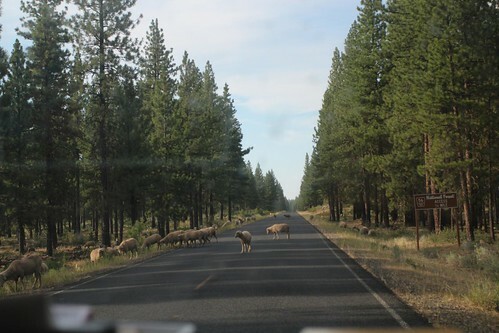 On the way out of Lassen Volcanic, we took some beautiful county roads through northern California that happens to be free range for many of the farm animals. This was not the first time we had to come to a screeching halt because grazers got the right of way. This is the by far my favorite kinds of roads to drive on. I will often set my GPS to avoid interstates on purpose just so I can have these kinds of opportunities. 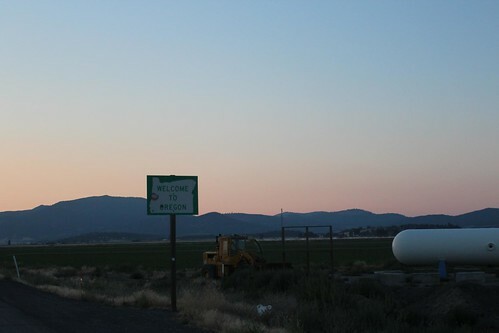 By the time the sun was about to set, we were at the edge of the California and Oregon border. 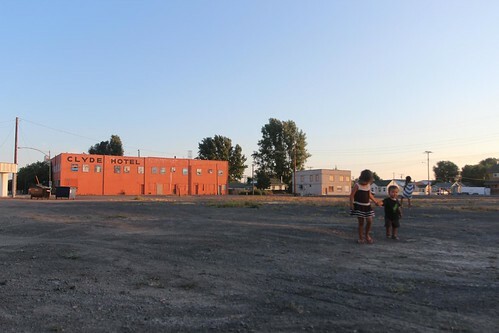 The kids could not wait any longer so we stopped at a little one-horse town called Tulelake, CA just shy of Oregon and looked for a place to have dinner and watch the sun set. There was not a single restaurant open in Tulelake so we settled for some pretty heinous fried chicken wings from under a heat lamp at the only market in town that was open. In just a few short miles we were in Oregon. We will end up at Walmart once again for this night. 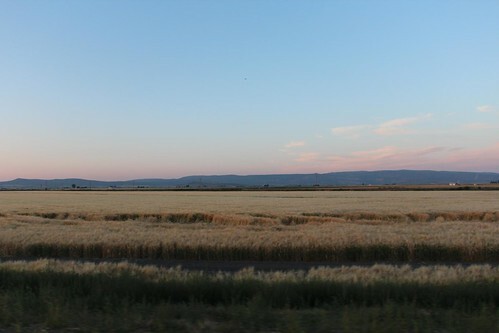 This time it will be in Klamath Falls, Oregon. If the kids could have held out, we could have had everything we wanted with no sales tax. 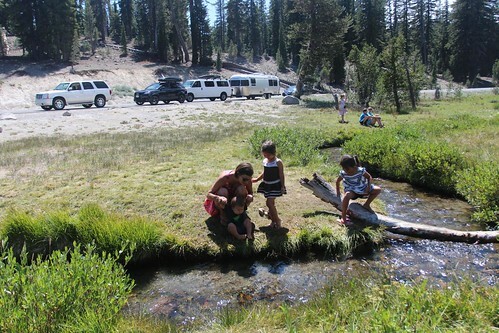 2 Responses to Day 5: Lassen Volcanic National Park. So enjoying your travel blog and watching the kids interact with what the world has to throw their way! I hope the boondocking is working out okay and that you have an app to find the necessary dump stations along the way. Oregon is stunning. It’s the Maine of the West Coast and when we went through, we sort of hugged the coastline because Kerri needs her ocean fix daily. I wish we had made it more inland during our time their. Oh well. an excuse to return. We’ve spent nearly three weeks on Orr’s Island in Maine. I don’t think Kerri has updated our blog in awhile, but you can access most of our photos on FB (https://www.facebook.com/dennis.l.mchale) until we get that blog rolling like it’s supposed to be. I don’t know where you guys stayed in Maine, but you have to do the Orr’s Island (Harpswell), Rockland, and Acadia. The later is where we head to on Sunday. We’ve been kayaking our butts off in the island inlets and to be honest, if this was our final destination…I could live with it. Well, just wanted to say hi and wish you happy trails. Keep the photos coming. Thanks Dennis! We basically did the same coastal route starting from coos bay all the way up to Astoria before heading into Washington. Of course we are late to blog so we will be catching up for the next week or so. Maine looks amazing from your Facebook and Kerri’s Instagram photos. Hope to see you guys again soon.